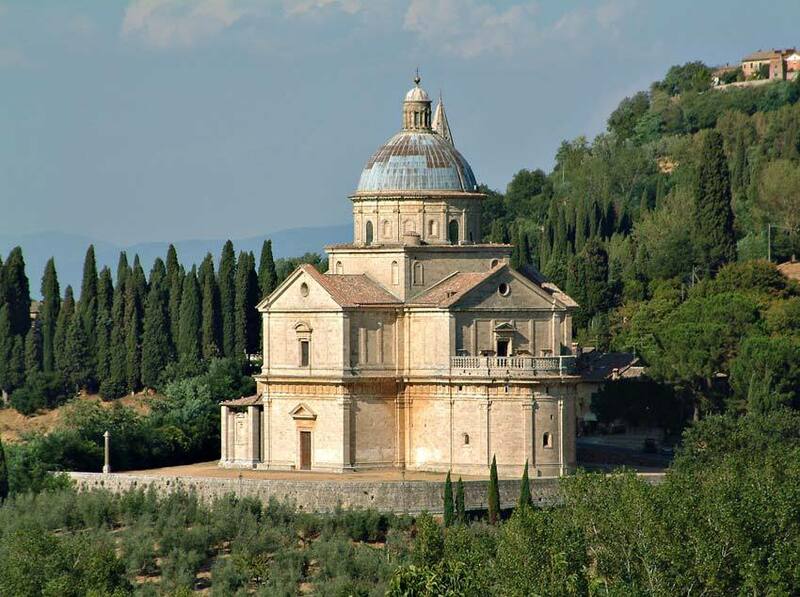 Not far from the historical centre of Cortona, after a short walk you can reach this quiet and enchanting little Church that dates back to the 15th century. 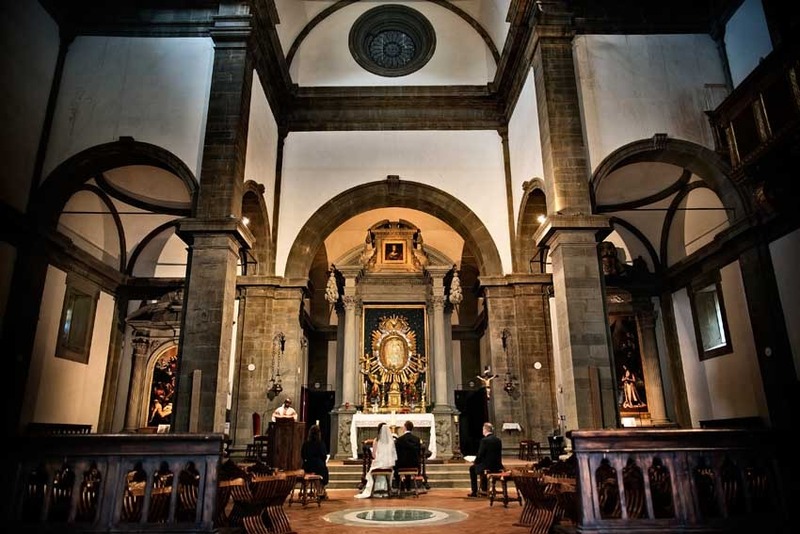 Catholic weddings in Cortona are allowed in this and in other churches but we recommend this tiny church because of its romantic and intimate atmosphere that a Bride and Groom can enjoy on such an important day in their lives. 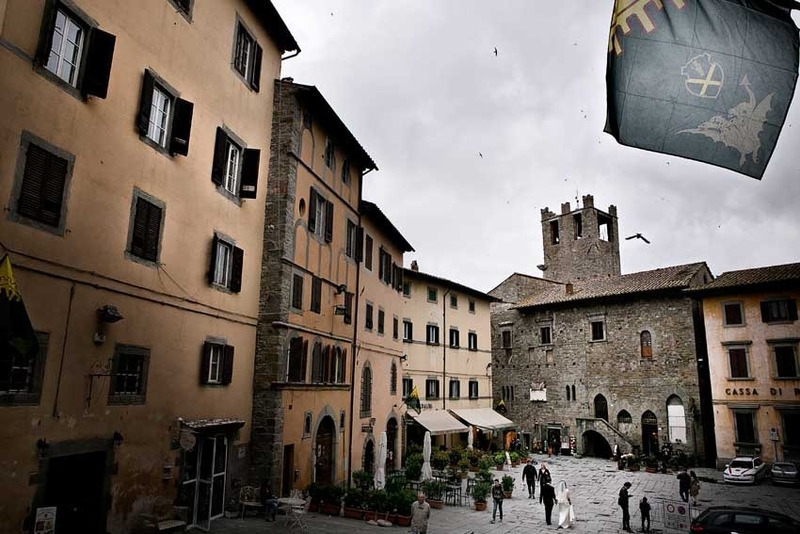 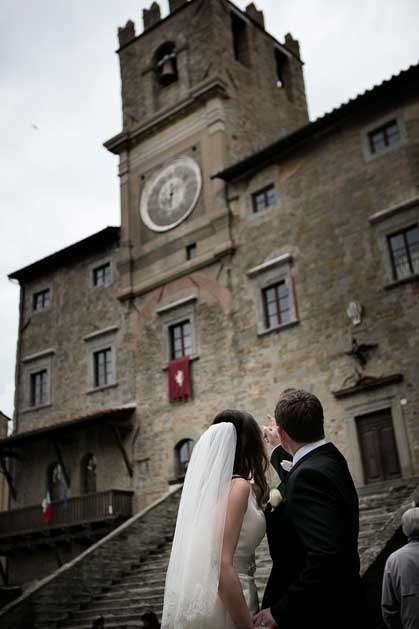 Really a romantic wedding ceremony where family and close friends witness the official beginning of your family, Cortona is also a romantic starting point for honeymoons. 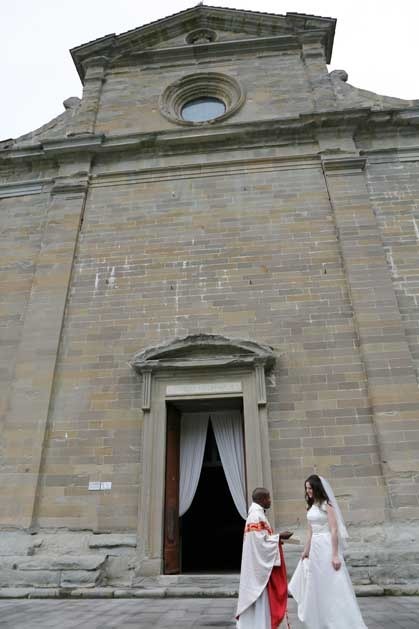 Upon your arrival the Church offers its great enchantment, you see the slender columns of its small porch, the cypress tree lines that welcomes to this sacred church, while the interior is really refined and intimate, with precious paintings and marvelous wood-coffered ceiling. 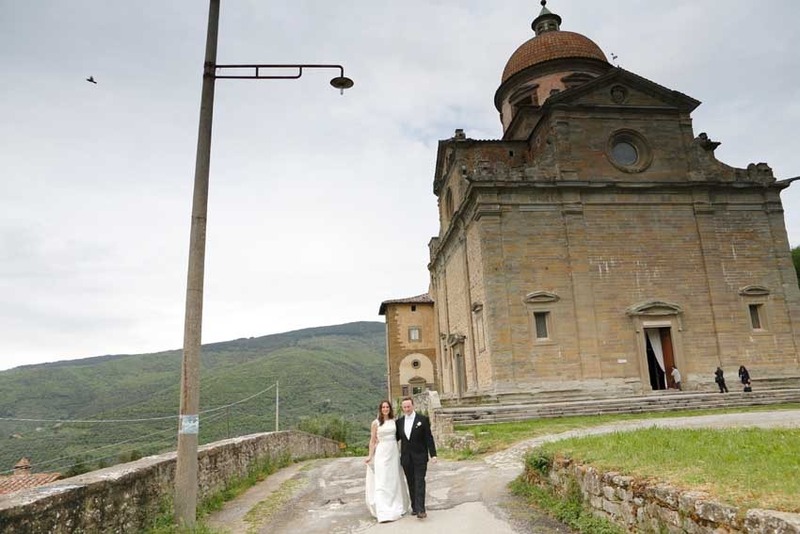 This church is suitable to max 20/25 people and can be easily reached on foot, this gives you the chance to enjoy a memorable, stress free wedding day pacing around Cortona to reach the most treasured and undiscovered beauties. 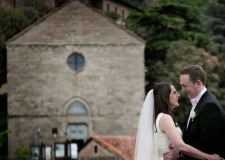 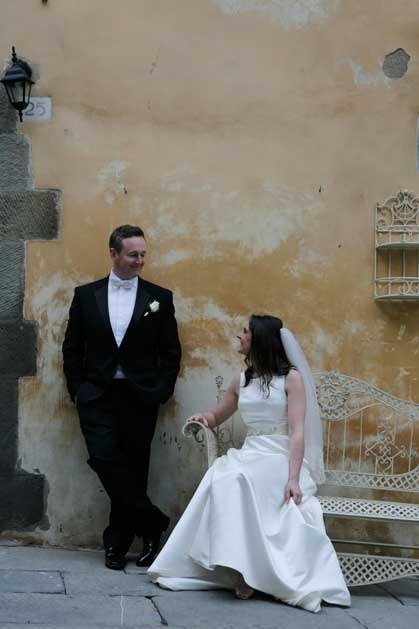 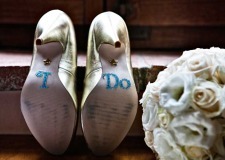 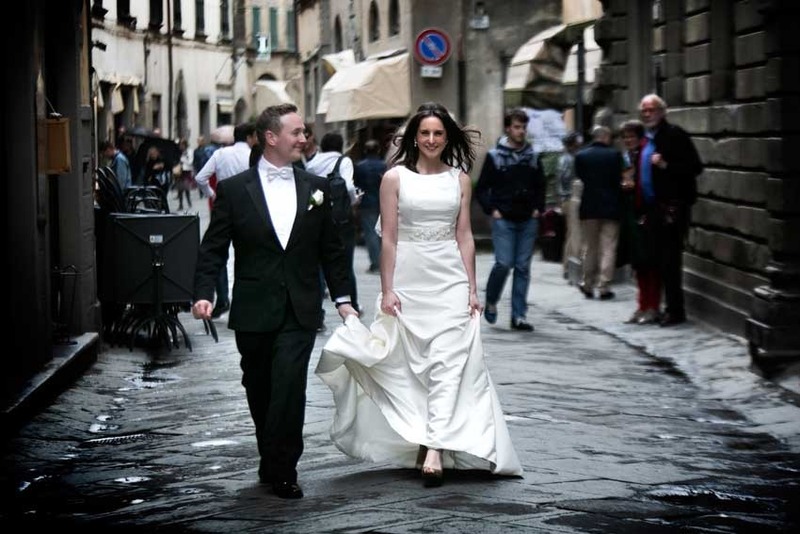 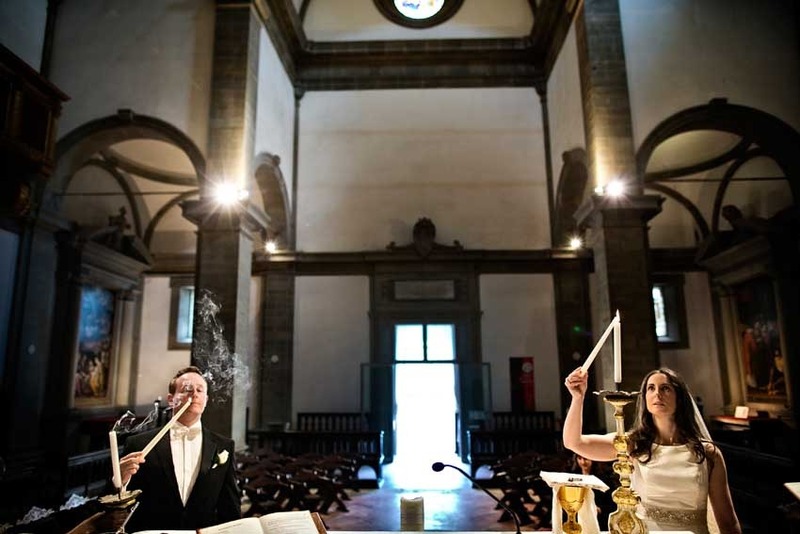 The priest of the church of San Niccolò in Cortona welcomes couples in love from all over the world, allows Catholic ceremonies that are legally binding at the same time and an English speaking priest is available. 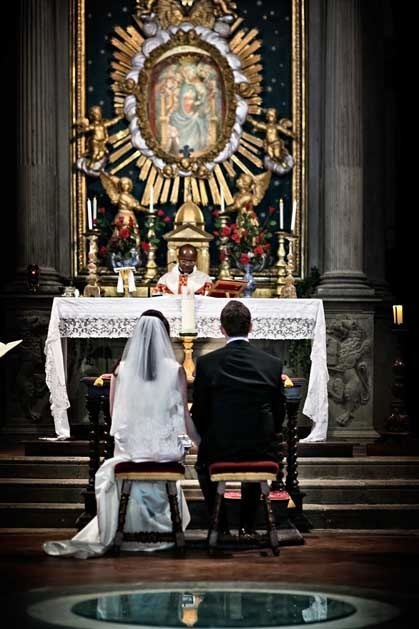 Sacred music played by classical instruments is allowed, organist with flute, harpist and soprano or tenor are just some nice ideas.